The sprawling Tinseltown, Los Angeles is packed with numerous spectacular landmarks, coupled with fascinating small towns to explore. As LA is a big city and distances are ginormous, it is advisable not to pack in too much in a day. It is best for you to select a particular part of the city, instead of wasting time, fighting the crazy traffic. We have gathered some of the city's dazzling attractions, restaurants and nightspots, for you to spend a glorious 24 hours in Los Angeles. A promising start of your day with therapeutic yoga session at Evoke Yoga. With the amazing instructors, this is a great way to calm your mind and feed your body with positive energy. You need to fuel up with a hearty breakfast as a long energy draining day awaits you. 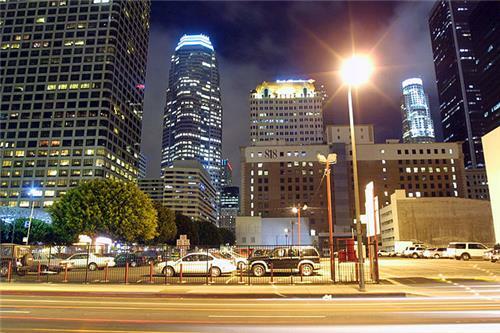 The fashion and business district, Downtown, L.A. with its bustling streets is where you must stop for a good breakfast. Step in Nickel Diner, located at 524 S Main St is a cool place with tempting breakfast options to choose. You must try the delicious pancakes and French toast at the Original Pantry, located 877 S Figueroa St.
Take advantage of the morning hours to avoid rush and visit the gorgeous Getty Museum at Getty Center, the pinnacle of high culture, with spectacular displays of French antiques, manuscripts, contemporary photography and other collections. Here, with the use of computer-controlled louvers and UV-filtering windows, you will get to see the masterpieces of great artists in the same lighting conditions in which they have created them. Admission is free. Griffith Park, a 4,210 acres of both natural terrain and landscaped parkland and picnic areas, is packed with so many things to do - Griffith Observatory, Bicycle Rental, Autry National Center, Greek Theater, Griffith Park Merry-Go-Round, L.A. Live Steamers, L.A. Zoo, Pony Rides and much more. Get connected with the space at Griffith Observatory. You will come across many beautiful restaurant in and around Griffith Park to stop for lunch. The inviting and friendly Yuca's, at 2056 Hillhurst Ave, serve some seriously addictive burritos and you can also try Yuca's grilled steak and yucatan style pork. For some good burgers, you ought to stop at Umami Burger at 4655 Hollywood Blvd. Make sure to try its burgers with truffl'e. Indulge in fresh and delicious Thai food at Pa Ord Noodles, located at 5301 Sunset Blvd. Take a cab to Hollywood Boulevard for some Hollywood tours. You can stroll the Hollywood Walk of Fame, where you will see the names of over 2,000 Hollywood stars and other notables engraved in bronze and set in marble along a mile of sidewalk. Have a fun time deciphering the names stretch in time starting from Charlie Chapman and lots more. While there, visit the Hollywood Museum, the ultimate museum of Hollywood with the world's most comprehensive collection of Hollywood memorabilia. You cannot miss a visit at Chinese Theater when you're in Hollywood. This lavish movie palace is considered the home to Big Movie Premiere showcasing renowned movie-stars. Are you a film buff? Wait till you find out the hand and foot prints in the concrete, of over 160 Hollywood celebrities. Dig deeper to find the prints of your favorite star. This is a must visit. The Entertainment Capital of Los Angeles, Universal Studios offer you the best Hollywood experience you can ever imagine. The studio encompasses theme park and Universal CityWalk Hollywood is a Three-Block Entertainment, Dining and Shopping Promenade. Click here to buy tickets and get more information. The epicenter of luxury, fashion and lifestyle, Rodeo drive is a three block stretch of street, lined up with array of high end shops. "Pretty Woman"! Does it ring a bell? Yes, this is where Julia Roberts walk down the street in the movie "Pretty Woman"! The shops here are very expensive but you can always have a great time window shopping in this luxurious posh area. It is a lifetime experience to walk down the street of Beverly Hills and enjoy a scrumptious meal in one of its fine dining restaurants. The Belvedere at the Peninsula, located at 9882 S Santa Monica Blvd, Beverly Hills, is a sophisticated fine dining restaurant that serves delicious gourmet food. Enjoy an authentic Italian cuisine at Il Pastaio, 400 N Canon Dr, Beverly Hills. Want to try some succulent ribs? Stop at Lawry's the Prime Rib at 100 N La Cienega Blvd, Beverly Hills. Laugh till your belly hurts at the Comedy Store. This place is where many internationally renowned comedians, such as late Robin Williams, Richard Pryor, David Letterman, and Sandra Bernhard perform stand up comedy. Every night there is comedy here and you can choose from three stages. Get details for show timings, tickets and other details here. Loose all your inhibitions and get ready to soak in the city's nightlife. From live music to dance parties, bands to dating events, L.A. will serve you right. The Satellite, located at 1717 Silver Lake Blvd at Effie St, it is the city's thriving hot night shrine. It is a great venue that plays outstanding music. If you are a music lover, you must definitely be at the Echo. Located at 1822 W, Sunset Blvd, the club plays interesting flavors of dub reggae, indie and electronica. Another exciting club is Bootleg HiFi, a 1930s warehouse-turned-theater. It offers you performances of all kinds, including music, dance, theater and film. Pasadena is flooded with bars that will deliver you almost everything you demand. Romance and cocktails? The answer is 1886 Bar, at 1250 S Fair Oaks Ave, will serve you the finest cocktails in all Pasadena and some seriously delicious bar bites. Der Wolfskopf, the name must be hard to pronounce but its easy to fall in love with this place. Great beer and good sausage take the center stage of this German touch bar. Must try here are - Schofferhofer Grapefruit Radler, Hacker-Pschorr Dunkleweiss, Aecht Schlenkerla Fastenbier. You must visit the place to find out the mysteriously exotic sounding specialties of this place. Are you looking for a relaxed, sports bar vibe with perfect pub grub? Kings Row Gastropub, at 20 E Colorado Blvd, is the place. Imagine Shepherd's Pie and Fish & Chips coupled with good beer. Tempting?